Nick Stokes (George Eads, left) and D.B. 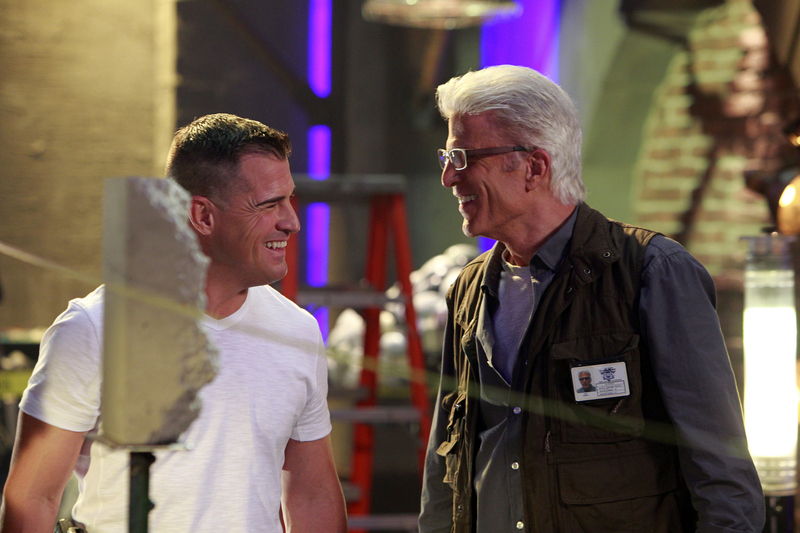 Russell (Ted Danson) behind the scenes. Photo: MONTY BRINTON/CBS ©2011 CBS BROADCASTING INC. All Rights Reserved.